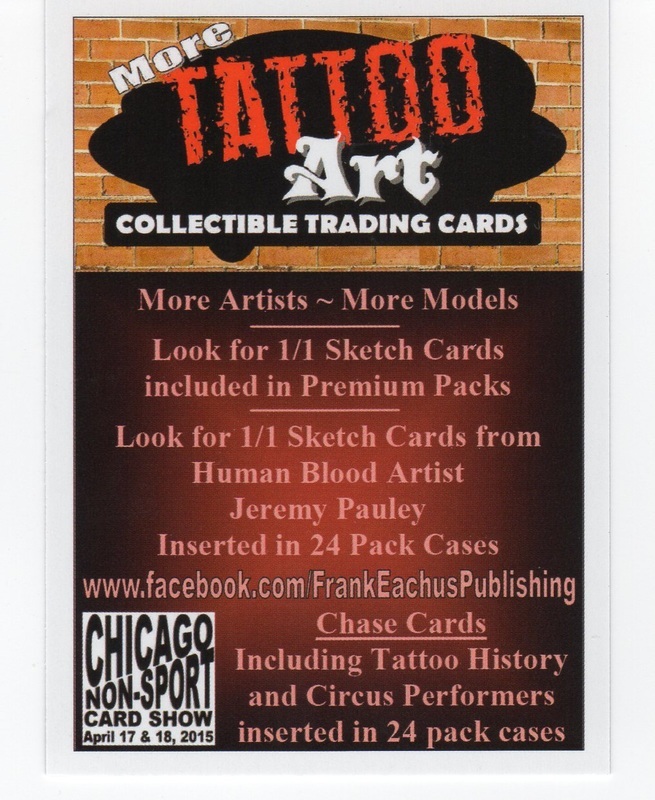 Bench Warmer Cards is providing us with 6 different cards specially prepared for our show. Will post pictures when they arrive! 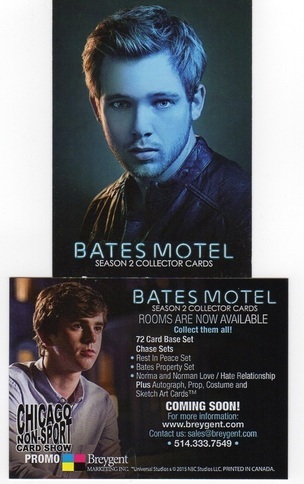 Breygent gives us new promos for upcoming sets: Bates Motel Season 2 and Dexter Season 7 & 8! 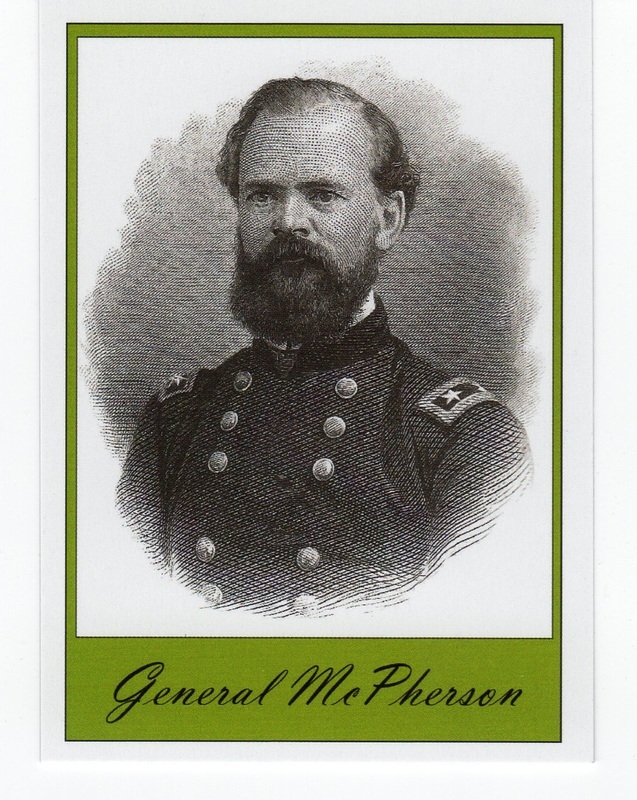 Rittenhouse Archives is known as a leader in the non-sport card world. 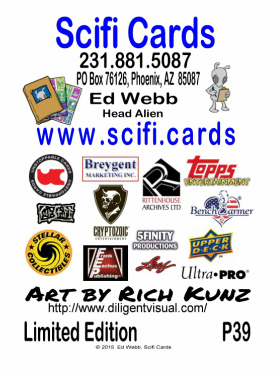 They have licenses for established franchises like Star Trek, James Bond, and Marvel Comics. Look for more Game of Thrones, James Bond, and a new license: Agents of S.H.I.E.L.D. 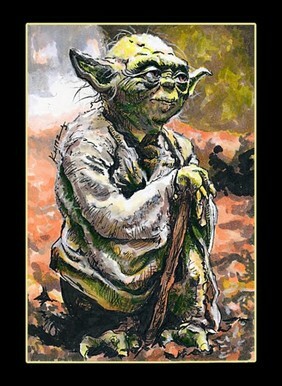 which will be available at the show. 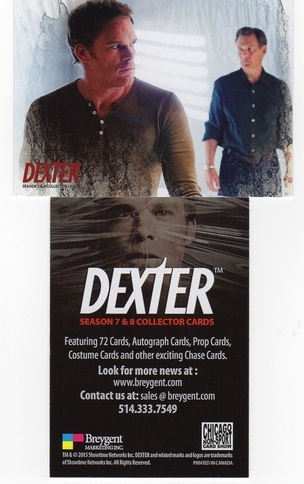 Rittenhouse has kindly provided us with P1's for Game of Thrones Season 4 and a SHOW EXCLUSIVE P2 for Continuum Season 3! 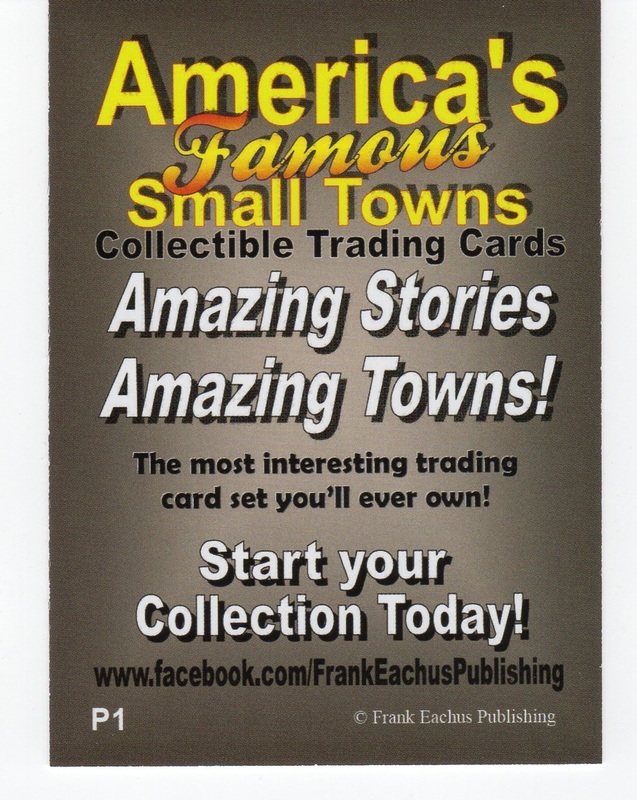 Frank Eachus Publishing will be providing us with a promo for their upcoming sequel to their first set, More Tattoo Art Trading Cards and a promo (P1) for a new set "America's Famous Small Towns." 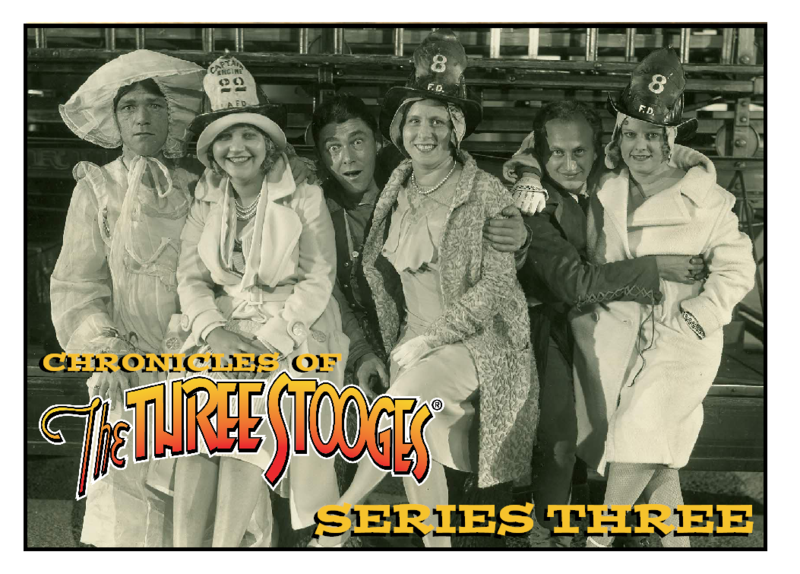 The second promo will be limited, and we may run out on Saturday. 5FINITY will again be getting us a promo card for one of their upcoming projects. 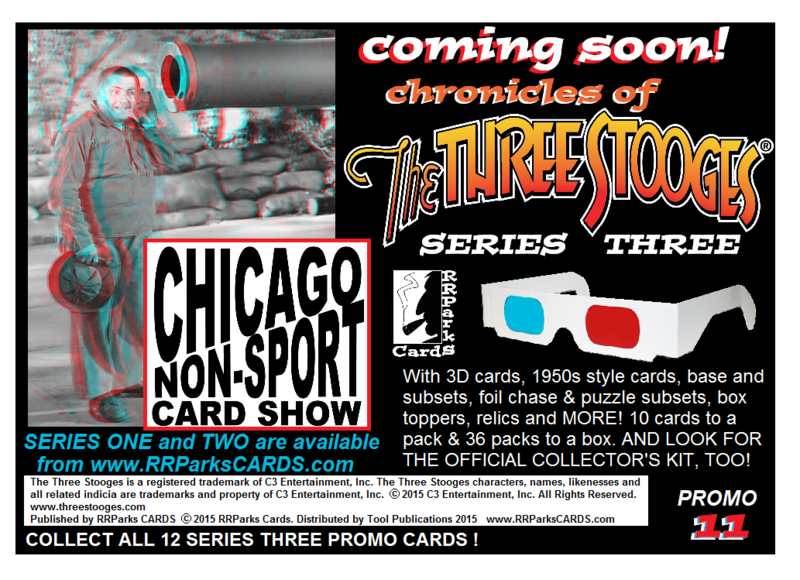 The Chicago Non-Sport Card Show series continues with promo number P10 with art by our creative guest Rich Kunz. 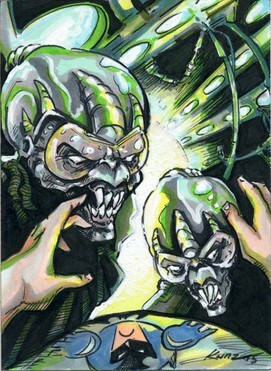 Scifi Cards continues their Alien-Themed promo cards with promo number P36. 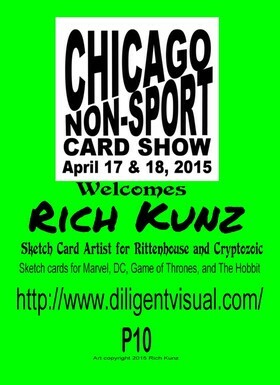 Art by our Spring 2015 Creative Guest Rich Kunz.